Expertly removing excess oils and product build up, Label.m Deep Cleansing Shampoo contains the protective Environshield Complex making it ideal for styling junkies. Invigorating peppermint, eucalyptus and tea tree oil naturally remove residue. Soy and wheat proteins, bamboo and fig are all on hand to strengthen the hair and keep it looking healthy. With the exclusive Enviroshield Complex, Label.m Deep Cleansing Shampoo protects vulnerable hair against heat styling and UV rays. For effective conditioning without heaviness Label.m Honey & Oat Conditioner contains sea algae and sea cabbage to re-moisturise, leaving hair soothed and strengthened. The exclusive Enviroshield Complex actively protects against heat styling and UV rays. 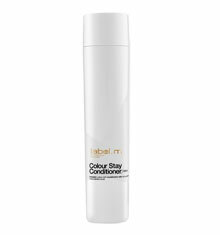 Nourish and add shine with Label.m Moisturising Conditioner, containing the protective Enviroshield Complex. 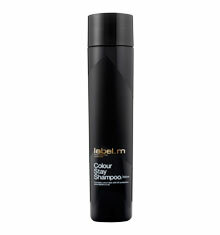 A thirst quenching blend of aloe, echinacea and currant extract provide a burst of hydration to visibly dry hair types. 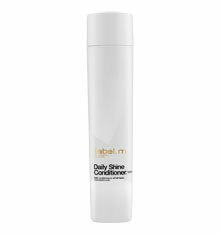 Professionally created for all hair types, this smoothing Label.m Daily Shine Conditioner expertly nourishes, detangles and discourages flyaways with a combination of lustre loading wheat and soy proteins and hi-drenching white tea, melon and echinacea. 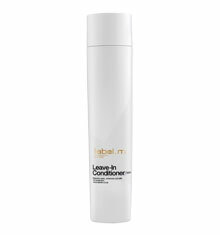 label.m Leave-In Conditioner smoothes and strengthens all hair types and shields against static and UV rays. 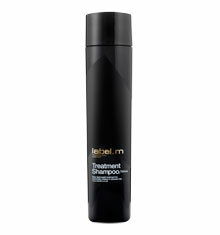 Ginger, Ginseng, Bergamot, Juniper, Mandarin Orange and Vanilla control frizz and enhance tousled curls. The exclusive Enviroshield Complex further protects against damage from heat styling. Expertly formulated with scalp-stimulating peppermint to increase blood supply to the hair follicle, this uber refreshing, lightweight Label.m Peppermint Treatment invigorates both hair and scalp. 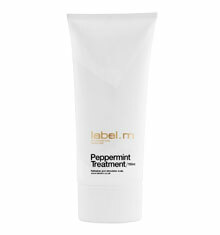 Now your salon style can be recreated daily with Label.m Peppermint Treatment and it’s innovative Enviroshield Complex that optimises shine, protecting hair from structural damage caused by heat styling and UV rays. 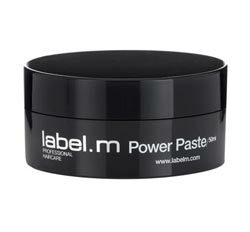 Protects hair against heat styling & UV rays. For optimal results use with the Therapy Age-Defying Conditioner. For optimal results use with the Therapy Age-Defying Shampoo. With eight of the most technologically advanced anti-ageing ingredients and is designed to reverse the visible signs of ageing leaving hair looking strong, radiant and youthful. For optimal results use as a complete regime with all products from the Therapy Age-Defying range. label.m Therapy Age-Defying Radiance Oil is an ultra-light beautifying oil with luxurious Moroccan Argan Oil for instant transformation and exclusive Rejuven-8 Complex for long term rejuvenation to keep hair protected, nourished and younger looking. Quickly absorbed for a silky, natural feel and leaves hair soft and instantly shiny.